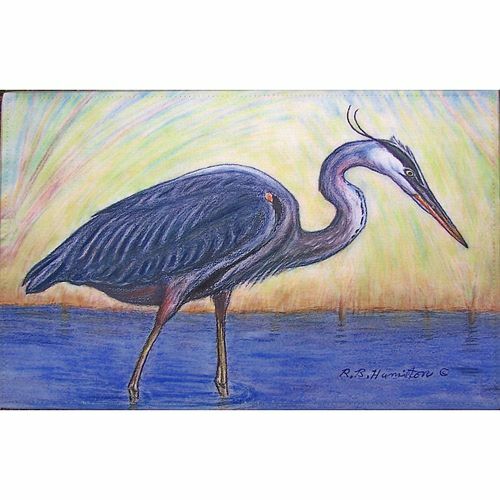 Select Size Small 18"x 26" Large 30"x50"
Betsy Drake, artist of the south's lovely beach creatures, designed this lovely Blue Heron floormat. The coastal floormat is made of synthetic washable material that will stand up to years of wear with a non-slip rubber backing. The great Blue Heron is depicted studious as it seeks out its' next meal. Decorate a beach themed bathroom or enhance a coastal kitchen with her best selling design.